It would seem for many that Missions has become some sort of religious ad extra, or above and beyond the call of a Christian. If it isn’t expressly thought of in this manner, it appears to be the functional outworking for most Christians. Missions has fallen secondary to church growth, and even tertiary to security & happiness; it has become an activity reserved for the very-special-elite-Christian. For many it is an option for the Christian life and not a mandate. Why is this? Maybe it has to do with how Missions and Missionaries are defined. Missions is often viewed as the task of taking the gospel to a foreign nation, and a Missionary is the one who goes. While this isn’t wrong, the mission of the church is so much greater. Maybe it has to do with the rebranding of missions, as all that a Christian does, effectively removing any legitimate missional functional in a Christian’s life. Maybe it has to do with the human condition, where the path of least resistance is most traveled. Maybe it has to do with the domestication of godliness, whereby godliness comes through inoffensive-middle-class-morality, rather than faithfulness to the mandate of the gospel. Missions is wider than church planting in a foreign nation, and it is narrower than any and everything a Christian does. Missions is the work of serving others in the gospel, irrespective of location. For Christians, it shouldn’t be a question whether or not we do missions, instead it needs to be a question of when, how, and where. The question of being a missionary was answered when you came to faith in Jesus Christ–not meaning you must move to Timbuktu, but recognizing the Christian’s call in the gospel. Don’t get me wrong, there is something phenomenal and very special about someone leaving their native land to bring the gospel to a foreign land. There is great beauty in living a life as a sojourner in the eyes of the world. But we must remember, once we come to faith in Jesus Christ, this earth is no longer our home. We are but sojourners in a foreign land. We are missionaries on the mission field no matter where we live. As sojourners—aliens remaining with purpose—the question isn’t, ‘who is and who isn’t a missionary, a pastor, and then merely a normal Christians?’ Rather, we’ve all been placed into the mission of Christ as Christians. Not everyone is an overseas-missionary, or even a vocational minister, but everyone is called to bring the gospel, to be missional in their lives, as part of the work of Christ, seeking to fulfill the work of Christ here on earth. Has God called you to a foreign land? If not, then where are you called to minister as a sojourner? In what way has the Spirit of God blessed you to serve in the gospel? Where are you doing the work of the ministry? Remember those long philosophical treaties mentioned last week? 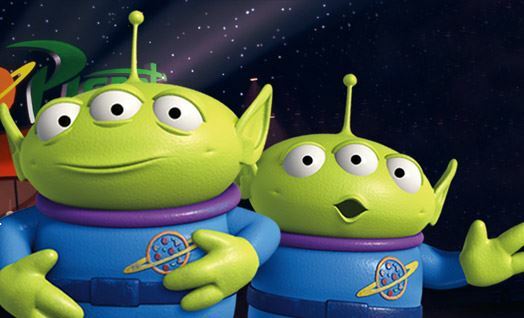 Do you remember the questions raised regarding mankind’s purpose? After poking at philosophers, and raising questions on purpose, it was appropriate to read a biblical philosopher’s ideas on purpose. A friend once said, some men were made to read those things, and football players aren’t the men for the job. I’m sure he was trying to tell me something. Not to fool anyone into thinking I sit among those who read and write such things, nevertheless, I took my only qualification and ventured where many bearded theologian have trod before. Now, if you’ve kept reading to this point, you’re doing well. The essence of Edward’s long blog post from the mid 1700’s is that God created the world with purpose. Edwards wrote, “We must suppose that God, before he created the world, had some good in view, as a consequence of the world’s existence, that was originally agreeable to him in itself considered, that inclined him to bring that universe into existence, in such a manner as he created it.” As in, God has a purpose in creating the world and this is agreeable and good to him. In God’s creative purposes, which are multifaceted, he created man, whose consequence of existence has specific divine intent. This beautiful truth is the reasonable deduction that God’s purposes are achieved through his creation and his creaturely beings. Not only does God have a purpose in creation, his existence provides purpose in creation. Understanding our purpose then is not a matter of the fulfillment of one’s potential, but grasping the transcendent meaning of life. When contemplating purpose it extends beyond the bounds of personal fulfillment, but pushes out to the cosmic meaning in all of humanity, as evident in the existence of God. Bugs Bunny is an iconic symbol of my early childhood. Even so, I still sit down to watch a rabbit that is older, and sometimes wiser, than I. Before Bugs became a sell out, or a marketing gimmick, he had a purpose. He stood up for the little guy, he often fought for his life in whimsical and overtly confident ways, displaying that even a feeble rabbit could overcome great difficulty. 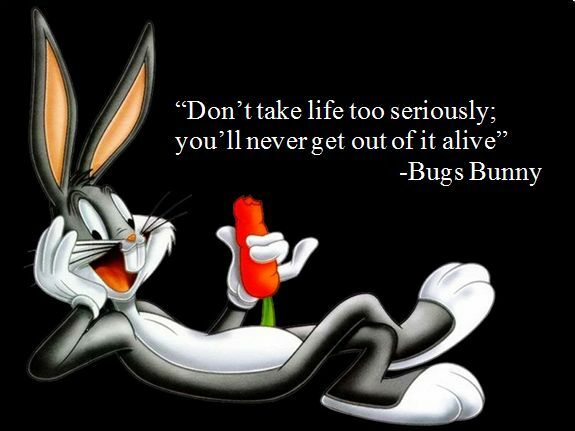 At times Bug Bunny would engage comedically with greater issues of life, love, and happiness. One particular episode I remember watching, the rascally rabbit was propped up in his hole, then looking to the viewers asked, ‘what is the purpose of it all?’ It wasn’t quite as serious as it sounds, but you see, in cartoon-land the repetitious plot of villain & hero was monotonously played over and again with the hero always coming out on top. So, even with a valiant purpose, which child and adult alike could rally behind, the rabbit found a futility to life. Bug Bunny seemed to be tired of always coming out on top. Even a cartoon who had it all, found a futile lack of satisfaction in constantly getting his own way. If you think I’ve totally lost my mind in thinking of the philosophical waxing of a cartoon rabbit, you might be right. Or I might just be immature. Nevertheless, I cannot help but think this reflected the cartoonists own view of life, and subsequently many who have resonated in like manner with our beloved cartoon. Identifying with purposeless futility, much like this meme depicts with humorous expression of shallow-purpose, is not too far from most peoples reality. Life has many purposes. The sentiment of not trying because it all ends in death only shows a substantive lack of enduring-purpose. What is mankind’s purpose? Do we exist for more than mere existence? The simple answer is, we do exist for more than subsistence. Man’s purpose is much greater than can be imagined. Let’s begin to think about the purpose of humanity in this world.